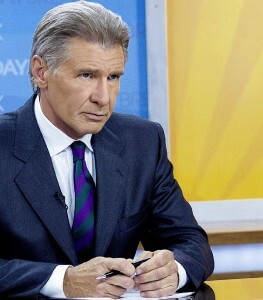 Harrison Ford has sustained an injury on the set of Star Wars: Episode VII. The actor, who is returning to the franchise in the role of Han Solo, was taken to a London hospital after hurting himself at the Pinewood studios. Disney said in a statement: “Harrison Ford sustained an ankle injury during filming today on the set of Star Wars: Episode VII. The 71-year-old is returning to the franchise alongside Carrie Fisher and Mark Hamill, who starred with him in the original trilogy. Anthony Daniels, Peter Mayhew and Kenny Baker are also all making comebacks. Star Wars: Episode VII is slated for release on December 18, 2015.